Northern Tanzania contains the greatest concentration of safari hotspots found anywhere in Africa: Tarangire, the Serengeti and the Ngorongoro Crater add up to an unmissable wildlife experience. Factor in the pristine beaches and warm waters of Zanzibar, and you have a luxury Tanzania safari that encompasses the very best this country has to offer. A multitude of panoramic vistas: over the plains of northern Tanzania, down into the Ngorongoro crater, or out across the Indian Ocean. Opportunities to relax with a slow safari in Tarangire, see flamingos on the Rift Valley Lakes, go on game drives in Tarangire and the Serengeti, descend into Ngorongoro Crater, visit Olduvai Gorge, witness the Great Wildebeest Migration in the Serengeti, scuba the vibrant coral reefs of Zanzibar, swim with dolphin in Zanzibar and watch the sunset from a dhow in Zanzibar. 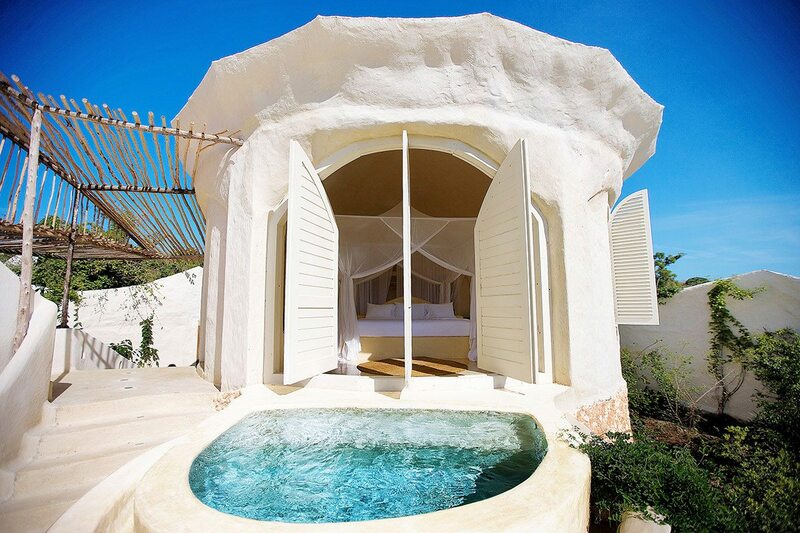 Varied luxury lodges, including stays in a treehouse, a manor cottage, a tented suite and a seaside pavilion. For more information see Tarangire Treetops, The Manor at Ngorongoro, Serengeti Pioneer Camp and Kilindi Zanzibar. Our night at the delightful Arusha Coffee Lodge was just the pause we needed before beginning our safari, and we even had time for a ‘bean to cup’ coffee tour before heading to Tarangire Treetops.As we were relatively early in the dry season, there was still a lot of water in the Tarangire River, but it had begun to dry up elsewhere and we enjoyed some wonderful game viewing. This was Africa exactly as we had imagined it: staying in treehouses any child would love, and weaving between portly baobab trees and herds of elephant on our game drives. Our first evening ended with a traditional boma dinner: the campfire cast flickering shadows across the sand as Maasai warriors demonstrated their prowess in leaping. The lonesome call of a solitary hyena reached us in the still air as we turned in.Being in the Randilen Conservancy meant that we could enjoy activities not permitted in the adjacent Tarangire National Park, and we took full advantage. Through the trapdoor and down the spiral staircase we came, eager to meet our guide Babu for our morning walking safari. Being on foot enhanced our sense of the scale of the landscape, and, careful to keep our distance, we were able to watch elephant drink at the river. Our afternoon game drive became a night drive, with Babu using a red-filtered spotlight to pick out nocturnal creatures. An odd-looking, porcine animal turned out to be an aardvark – a first for us. Our night at the delightful Arusha Coffee Lodge was just the pause we needed before beginning our safari, and we even had time for a ‘bean to cup’ coffee tour before heading to Tarangire Treetops. As we were relatively early in the dry season, there was still a lot of water in the Tarangire River, but it had begun to dry up elsewhere and we enjoyed some wonderful game viewing. This was Africa exactly as we had imagined it: staying in treehouses any child would love, and weaving between portly baobab trees and herds of elephant on our game drives. Our first evening ended with a traditional boma dinner: the campfire cast flickering shadows across the sand as Maasai warriors demonstrated their prowess in leaping. The lonesome call of a solitary hyena reached us in the still air as we turned in. 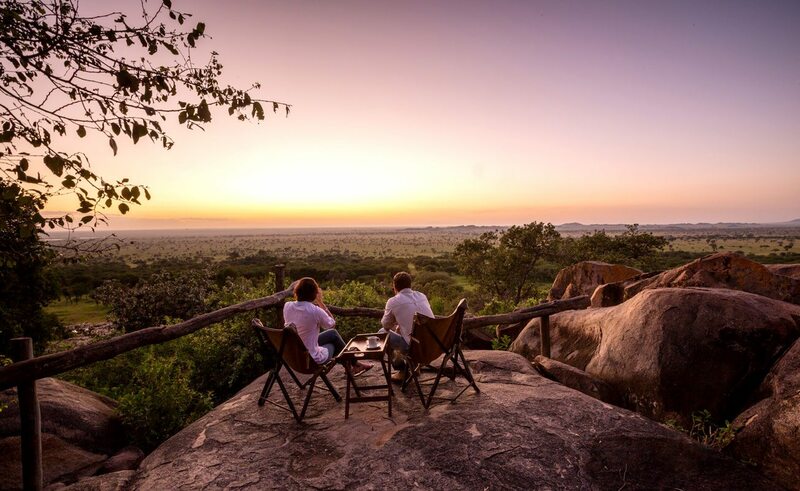 Being in the Randilen Conservancy meant that we could enjoy activities not permitted in the adjacent Tarangire National Park, and we took full advantage. Through the trapdoor and down the spiral staircase we came, eager to meet our guide Babu for our morning walking safari. Being on foot enhanced our sense of the scale of the landscape, and, careful to keep our distance, we were able to watch elephant drink at the river. Our afternoon game drive became a night drive, with Babu using a red-filtered spotlight to pick out nocturnal creatures. An odd-looking, porcine animal turned out to be an aardvark – a first for us. Our flight to the Manyara region passed close by Lake Manyara – close enough that we could see that the glittering lake was fringed with pink – thousands upon thousands of flamingos.Located just 45 minutes’ drive from Ngorongoro Crater, The Manor at Ngorongoro offered the best of both worlds: easy access, and complete privacy and exclusivity. 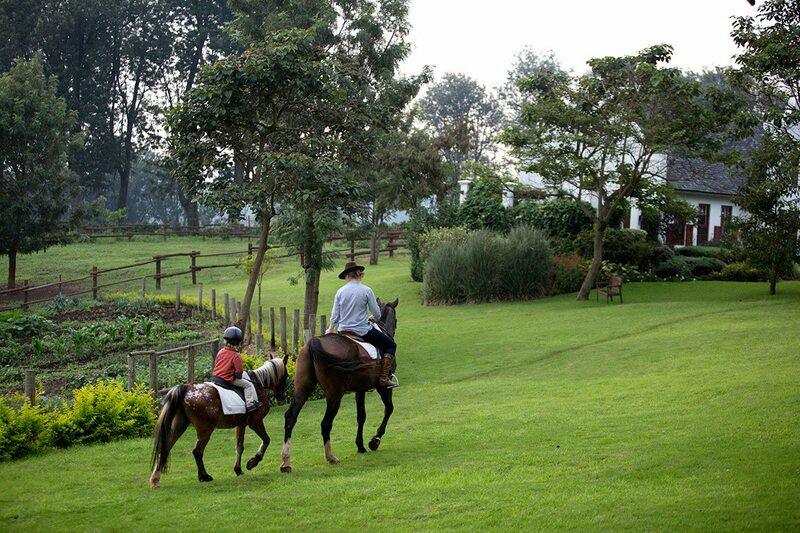 In the Shangri-La coffee estate, we’d truly found an earthly paradise. We were easily persuaded to spend the afternoon exploring the gardens. We chose mountain biking over horse riding – in such beautiful surrounds we concentrated more on petals than pedals, so it wasn’t too strenuous. We did make sure we were back in time for an indulgent dip in our antique claw-footed bath (very appropriate on safari!). After dinner, I handsomely beat my partner at snooker as we savoured fine brandy from snifters.We were spoiled for choice when it came to destinations for a full-day excursion. Lake Manyara and Olduvai Gorge were tempting, but in the end we plumped for the drive through the estate and then to the crater itself. Descending into the ancient caldera felt like going back in time – an impression that was strengthened when almost the first animal we saw was a prehistoric-looking black rhino. David, our guide, found the ideal spot for lunch, by the sodic lake in the centre of the crater – also festooned with delicate fuchsia flamingos. 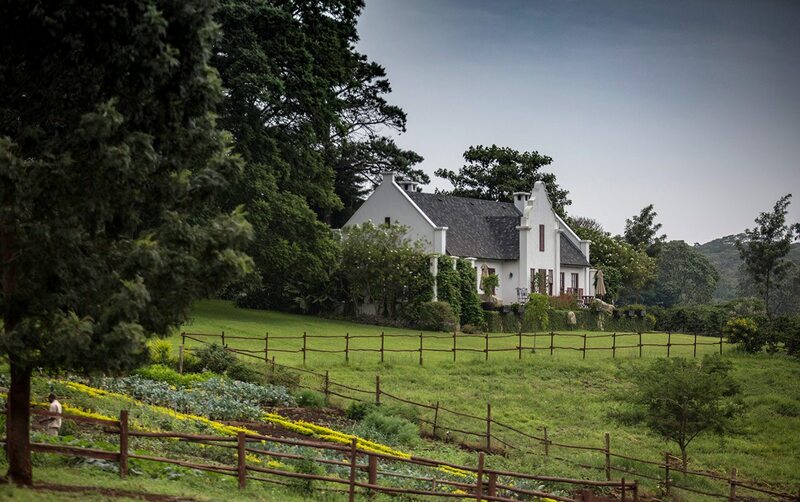 In the cool of the late afternoon, we slowly returned to our countryside retreat. Our flight to the Manyara region passed close by Lake Manyara – close enough that we could see that the glittering lake was fringed with pink – thousands upon thousands of flamingos. 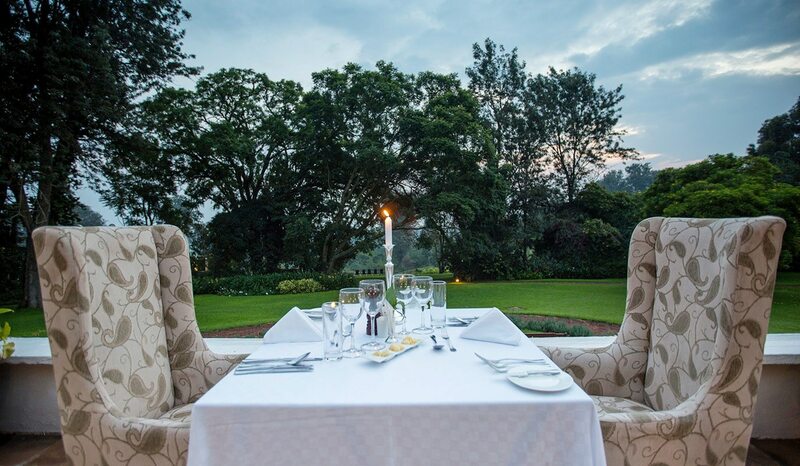 Located just 45 minutes’ drive from Ngorongoro Crater, The Manor at Ngorongoro offered the best of both worlds: easy access, and complete privacy and exclusivity. In the Shangri-La coffee estate, we’d truly found an earthly paradise. We were easily persuaded to spend the afternoon exploring the gardens. We chose mountain biking over horse riding – in such beautiful surrounds we concentrated more on petals than pedals, so it wasn’t too strenuous. We did make sure we were back in time for an indulgent dip in our antique claw-footed bath (very appropriate on safari!). After dinner, I handsomely beat my partner at snooker as we savoured fine brandy from snifters. We were spoiled for choice when it came to destinations for a full-day excursion. Lake Manyara and Olduvai Gorge were tempting, but in the end we plumped for the drive through the estate and then to the crater itself. Descending into the ancient caldera felt like going back in time – an impression that was strengthened when almost the first animal we saw was a prehistoric-looking black rhino. David, our guide, found the ideal spot for lunch, by the sodic lake in the centre of the crater – also festooned with delicate fuchsia flamingos. 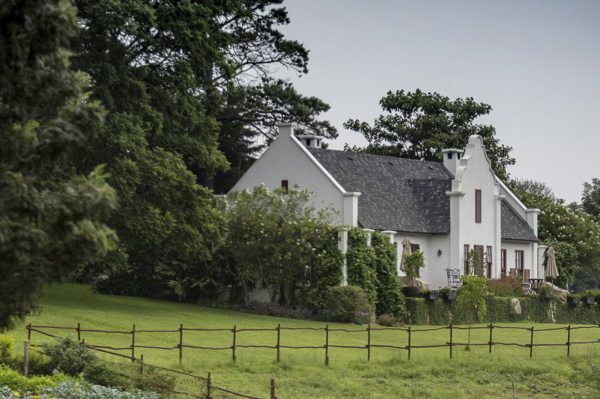 In the cool of the late afternoon, we slowly returned to our countryside retreat. We had time on our last morning for a couple’s spa treatment overlooking the manicured gardens of the manor, so we were already floating before we took off to head into the heart of the Serengeti for the next leg of our luxury Tanzania safari.With its authentic 1930s feel, Serengeti Pioneer Camp lives up to its name. Here, we instantly fell in love with the almost infinite views. Isaac was keen to share his Maasai heritage with us, and after an excellent lunch, drove us to the Moru Kopjes to see the ancient rock art – deceptively simple red-and-white figures of men and animals. He also showed us the gong rocks that made musical sounds when hit, and we made chimes of our own by clinking Champagne glasses.A subtle change overnight: looking out from the granite outcropping at dawn, we could see many more animals of the Great Wildebeest Migration. We were becalmed in a sea of gnu! Isaac’s sensitive driving meant that we were able to get among them without undue disturbance, and in his thoughtful way, he explained many of the nuances of their behaviour to us. We noticed a great many of this year’s calves among the wildebeest. At just a few months old, they were still vulnerable to nearby predators. The afternoon passed peacefully, with the wildebeest permitted to graze without danger. The night, we suspected, might be more fraught for them. Ours, in contrast, was deeply relaxing. We had time on our last morning for a couple’s spa treatment overlooking the manicured gardens of the manor, so we were already floating before we took off to head into the heart of the Serengeti for the next leg of our luxury Tanzania safari. 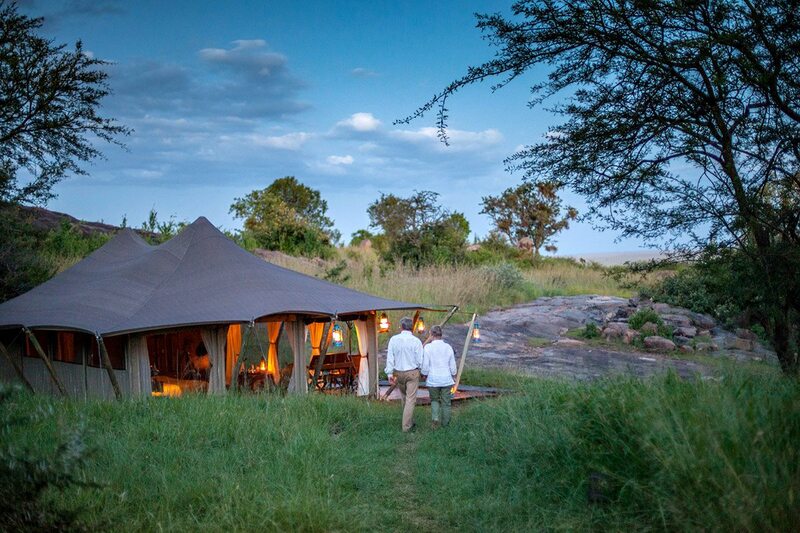 With its authentic 1930s feel, Serengeti Pioneer Camp lives up to its name. Here, we instantly fell in love with the almost infinite views. Isaac was keen to share his Maasai heritage with us, and after an excellent lunch, drove us to the Moru Kopjes to see the ancient rock art – deceptively simple red-and-white figures of men and animals. He also showed us the gong rocks that made musical sounds when hit, and we made chimes of our own by clinking Champagne glasses. A subtle change overnight: looking out from the granite outcropping at dawn, we could see many more animals of the Great Wildebeest Migration. We were becalmed in a sea of gnu! Isaac’s sensitive driving meant that we were able to get among them without undue disturbance, and in his thoughtful way, he explained many of the nuances of their behaviour to us. We noticed a great many of this year’s calves among the wildebeest. At just a few months old, they were still vulnerable to nearby predators. The afternoon passed peacefully, with the wildebeest permitted to graze without danger. The night, we suspected, might be more fraught for them. Ours, in contrast, was deeply relaxing. On our flight from the Serengeti to Zanzibar, we imagined we were bringing precious goods (gold, perhaps) from the interior of Africa to the coast, destined to be carried across the ocean.I instantly felt that Kilindi Zanzibar was the sort of place I wouldn’t at all mind being a castaway – forever, if need be. We spent the afternoon strolling barefoot along the private beach with its clear, warm water and through the casuarina trees to our villa. As the sun began to sink over Africa, we slipped into the infinity pool to watch… A trick of the light removed any boundary between the pool and the ocean, and we felt as though we could swim forever… Instead, we showered and dressed for dinner, which was served by the very same pool. Our white linen outfits blended in perfectly.A combined boat-and-jeep trip brought us to Stone Town, the labyrinthine old part of Zanzibar City. But for our knowledgeable guide, Sammy, we would soon have become lost in its maze of winding alleys. Some of the intricately carved wooden doors stood ajar, giving tantalising glimpses of everyday life. Periodically the muezzin’s call to prayer would ring out across the flat rooftops, although there was occasional competition from radios playing taarab music. We found unique gifts for our families in the tiny bazaars and sampled delicious local snacks from a market stall that Sammy knew – all in all, a fascinating day.After a leisurely breakfast, the next morning saw us immerse ourselves in a very different, but equally colourful, community – the coral reefs just off the island. A short boat ride before we followed dive master Ishmael in rolling backwards into the ocean. The sea was so clear that we could see straight to the sandy bottom, and we kicked with our fins to come closer to the first coral head. Brilliantly coloured fish darted amongst the coral, shrimp emerged from crevices to cautiously observe us, and an octopus squirted away in a cloud of ink. In fact, it was the only cloud we saw during our time on Zanzibar.Complete relaxation was the order of our last day, and we would have achieved this if not for being distracted by seeing indigenous red colobus nearby, or being intrigued by the organic kitchen garden. Still, the furthest we walked all day was to the water’s edge, before returning in the late afternoon to our favourite spot, the infinity pool. Watching sails pass on the horizon, we agreed that next time we would also take a sunset dhow cruise, and try our luck at deep-sea fishing. Fortunately, someone had already taken care of that, and we enjoyed a superb seafood dinner served in the privacy of our own villa. On our flight from the Serengeti to Zanzibar, we imagined we were bringing precious goods (gold, perhaps) from the interior of Africa to the coast, destined to be carried across the ocean. 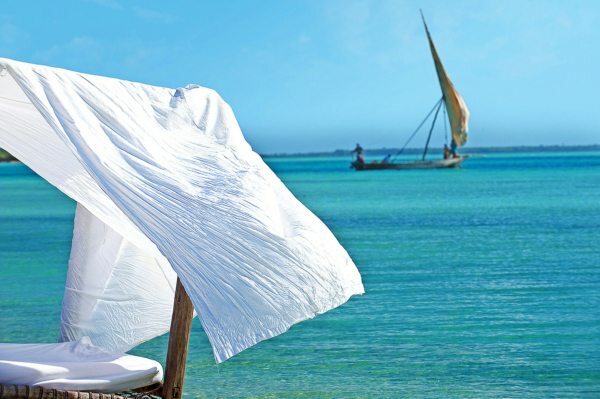 I instantly felt that Kilindi Zanzibar was the sort of place I wouldn’t at all mind being a castaway – forever, if need be. We spent the afternoon strolling barefoot along the private beach with its clear, warm water and through the casuarina trees to our villa. 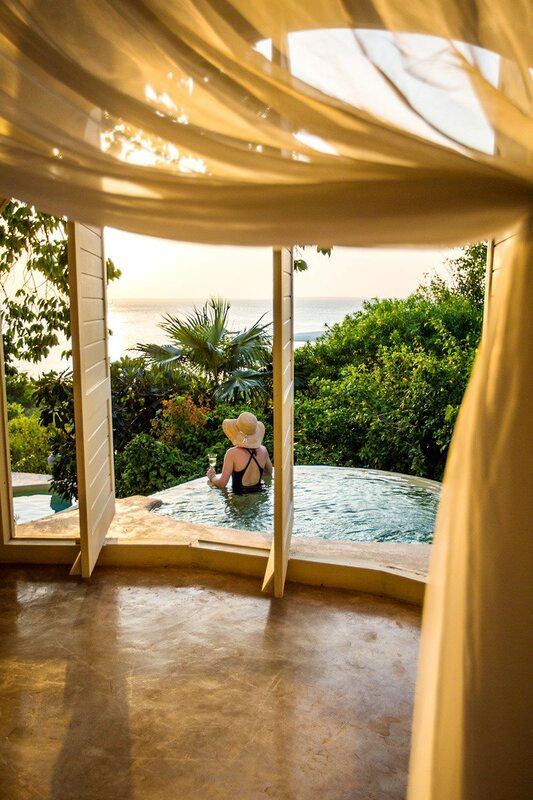 As the sun began to sink over Africa, we slipped into the infinity pool to watch… A trick of the light removed any boundary between the pool and the ocean, and we felt as though we could swim forever… Instead, we showered and dressed for dinner, which was served by the very same pool. Our white linen outfits blended in perfectly. A combined boat-and-jeep trip brought us to Stone Town, the labyrinthine old part of Zanzibar City. But for our knowledgeable guide, Sammy, we would soon have become lost in its maze of winding alleys. Some of the intricately carved wooden doors stood ajar, giving tantalising glimpses of everyday life. Periodically the muezzin’s call to prayer would ring out across the flat rooftops, although there was occasional competition from radios playing taarab music. We found unique gifts for our families in the tiny bazaars and sampled delicious local snacks from a market stall that Sammy knew – all in all, a fascinating day. After a leisurely breakfast, the next morning saw us immerse ourselves in a very different, but equally colourful, community – the coral reefs just off the island. A short boat ride before we followed dive master Ishmael in rolling backwards into the ocean. The sea was so clear that we could see straight to the sandy bottom, and we kicked with our fins to come closer to the first coral head. Brilliantly coloured fish darted amongst the coral, shrimp emerged from crevices to cautiously observe us, and an octopus squirted away in a cloud of ink. In fact, it was the only cloud we saw during our time on Zanzibar. Complete relaxation was the order of our last day, and we would have achieved this if not for being distracted by seeing indigenous red colobus nearby, or being intrigued by the organic kitchen garden. Still, the furthest we walked all day was to the water’s edge, before returning in the late afternoon to our favourite spot, the infinity pool. Watching sails pass on the horizon, we agreed that next time we would also take a sunset dhow cruise, and try our luck at deep-sea fishing. Fortunately, someone had already taken care of that, and we enjoyed a superb seafood dinner served in the privacy of our own villa. Our luxury Tanzania safari gave us a wonderful opportunity to explore the key wildlife destinations of northern Tanzania and to follow in the hoofprints of the Great Wildebeest Migration without overlooking the intriguing resident wildlife.Speaking of residents, we also enjoyed meaningful interactions with Maasai tribespeople – their adherence to their traditional way of life was a powerful metaphor for the need to conserve the wild places they and their cattle share with the game. Being in the presence of so many thousands of wildebeest, with a front row seat for the world’s greatest wildlife spectacle, was a real highlight. 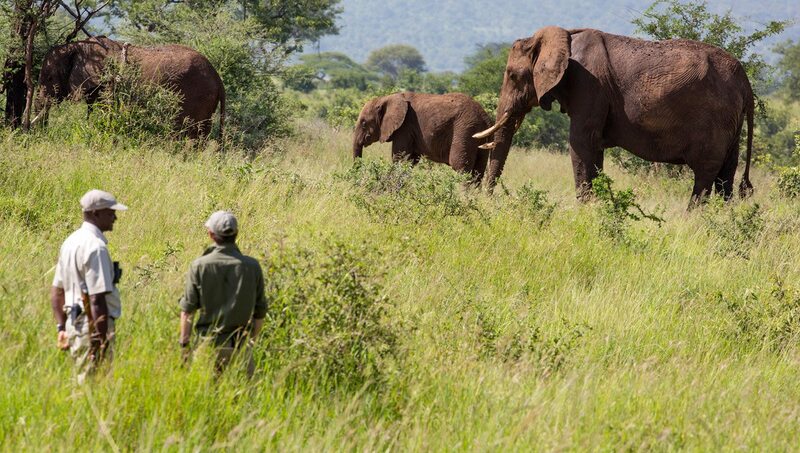 But so too was the opportunity to simply be in nature, at one with the vast landscapes and the sense of purpose demonstrated by the herds.If we were asked, it would be impossible to choose between the thrill of being on safari – whether in a vehicle or on foot – and the blissful restfulness of our days on Zanzibar. Both were very different experiences, and yet wonderfully complementary. We really felt that we’d perfectly balanced the yin and yang of a luxury safari in Tanzania!After our hugely rewarding wildlife encounters, the opportunity to take stock, relive our experiences, and just spend quality time together with no distractions nicely rounded out our vacation. Through shared experiences and shared quality time, we returned home closer than ever – and very close to booking a return visit to Tanzania. Our luxury Tanzania safari gave us a wonderful opportunity to explore the key wildlife destinations of northern Tanzania and to follow in the hoofprints of the Great Wildebeest Migration without overlooking the intriguing resident wildlife. Speaking of residents, we also enjoyed meaningful interactions with Maasai tribespeople – their adherence to their traditional way of life was a powerful metaphor for the need to conserve the wild places they and their cattle share with the game. Being in the presence of so many thousands of wildebeest, with a front row seat for the world’s greatest wildlife spectacle, was a real highlight. But so too was the opportunity to simply be in nature, at one with the vast landscapes and the sense of purpose demonstrated by the herds. If we were asked, it would be impossible to choose between the thrill of being on safari – whether in a vehicle or on foot – and the blissful restfulness of our days on Zanzibar. Both were very different experiences, and yet wonderfully complementary. 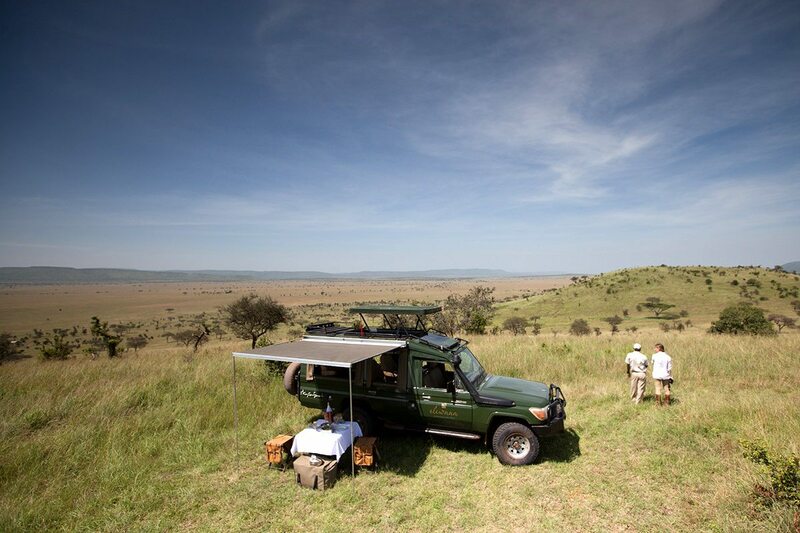 We really felt that we’d perfectly balanced the yin and yang of a luxury safari in Tanzania! After our hugely rewarding wildlife encounters, the opportunity to take stock, relive our experiences, and just spend quality time together with no distractions nicely rounded out our vacation. Through shared experiences and shared quality time, we returned home closer than ever – and very close to booking a return visit to Tanzania. 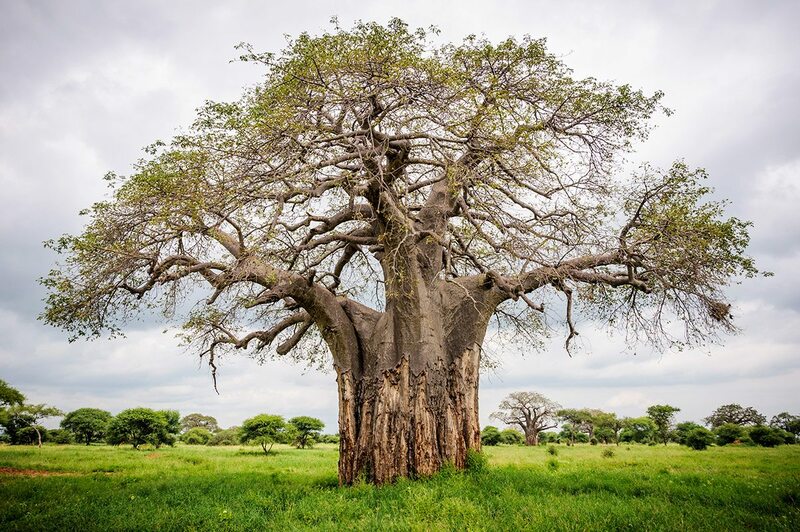 Tarangire National Park is dotted with huge baobab trees. You’ll be met as you disembark from your international flight at Kilimanjaro International Airport in Arusha, and assisted through customs and immigration. 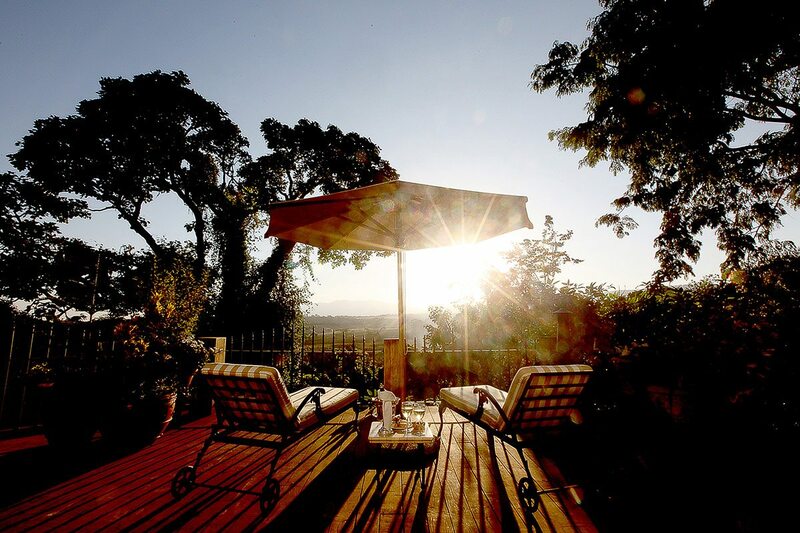 A private transfer will take you to Arusha Coffee Lodge, where you’ll spend one night. Following a private transfer from Arusha Coffee Lodge the airport, you’ll take a scheduled light aircraft flight to Tarangire. 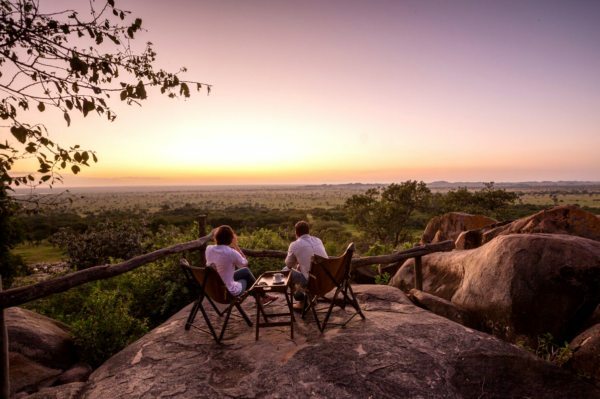 You’ll then take a transfer to Tarangire Treetops, where you’ll spend two nights. Following a transfer from Tarangire Treetops to the airstrip, you’ll take a scheduled light aircraft flight to Manyara. You’ll then take a transfer to The Manor at Ngorongoro, where you’ll spend two nights. Following a transfer from Serengeti Pioneer Camp to the airstrip, you’ll take a scheduled light aircraft flight to Zanzibar. You’ll then take a transfer to Kilindi Zanzibar, where you’ll spend four nights. Following a transfer from Kilindi Zanzibar to the airport, you’ll take a scheduled light aircraft flight to Kilimanjaro International Airport in Arusha, where you’ll be assisted through check-in for your international flight. Set in 20ha of tropical gardens overlooking the turquoise waters of the Indian Ocean, the 15 stylish white-domed villas at Kilindi Zanzibar offer boutique accommodation on Zanzibar’s northwest coast. Here you’ll enjoy swimming, snorkelling and other watersports as well as historical and spice tours. Discover what it was like to stay in the safari camps of the 1930s at Serengeti Pioneer Camp, which has all the style of an almost forgotten era. Here you can enjoy unparalleled views of the Moru Kopjes and Lake Magadi in Tanzania, and get close to Great Wildebeest Migration. 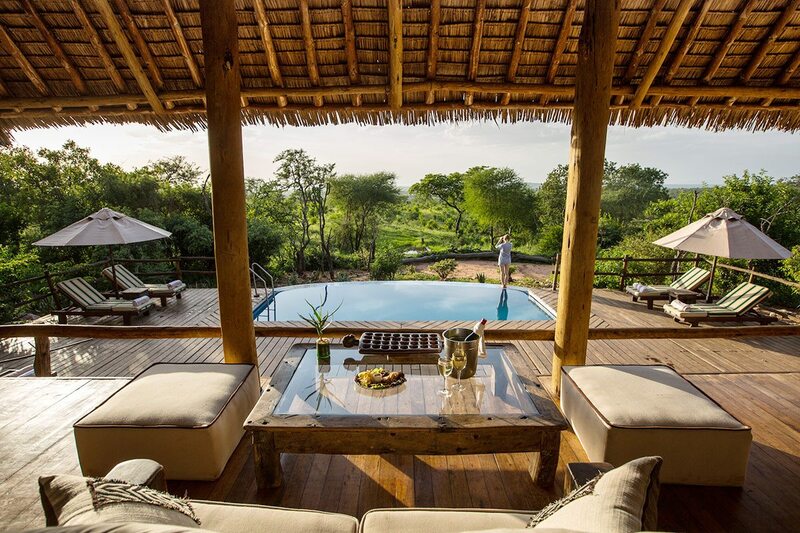 Indulge in a luxurious treehouse vacation at Tarangire Treetops, with views overlooking Tanzania’s baobab-studded Tarangire National Park. Whether you want to get active with swimming, birdwatching or walking safaris, or simply relax with bush meals and sundowners, there’s no shortage of incredible experiences to enjoy. Adjacent to the Ngorongoro Conservation Area, The Manor at Ngorongoro allows you to retreat from the crowds and discover Tanzania’s Ngorongoro Crater at your own pace. Explore the 600ha coffee estate and Ngorongoro forests on foot, mountain bike or horseback, with picnics and sundowners, community visits and guided hikes. Northern Tanzania contains some of the most prolific protected areas in Africa, between resident wildlife in such hotspots as the Ngorongoro Crater, and the peripatetic herds on their ceaseless journey. The key locations are relatively close to each other, making driving between them not just viable, but greatly enjoyable. 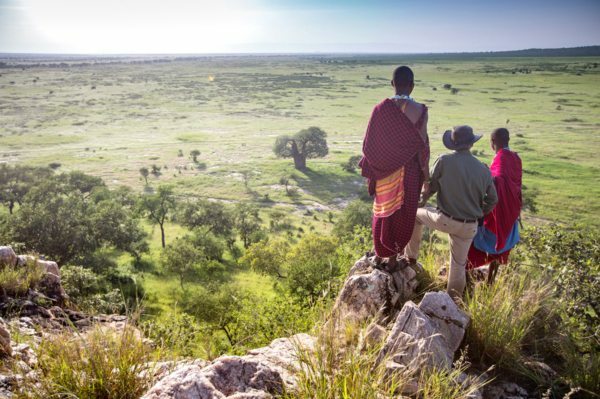 This Tanzania family safari includes all the sacred traditions of an African safari, as you’d expect in such game-rich destinations as Lake Manyara, Ngorongoro and the Serengeti. There’s also a real emphasis on something equally precious: quality family time, with accommodation and activities especially designed for safari-goers of all ages. 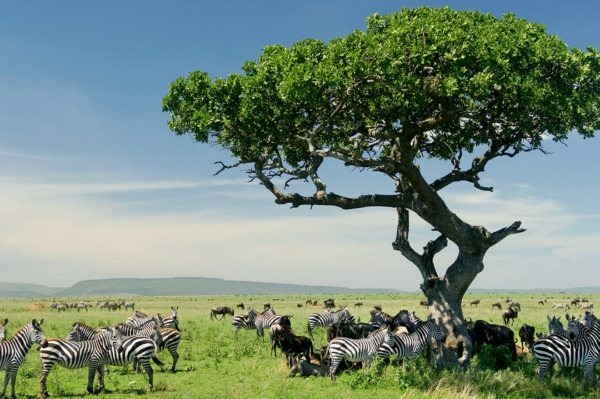 Tanzania is the complete luxury safari destination, with pristine game reserves where animals roam freely, and, in the case of the Great Wildebeest Migration, en masse. Add some post-safari rest and recuperation at the palm-fringed, white sandy beaches of the warm Indian Ocean, and you have it all. This luxury Tanzania safari combines time spent on the shores of two shimmering lakes with immersion in the sea of grass that is the Serengeti. 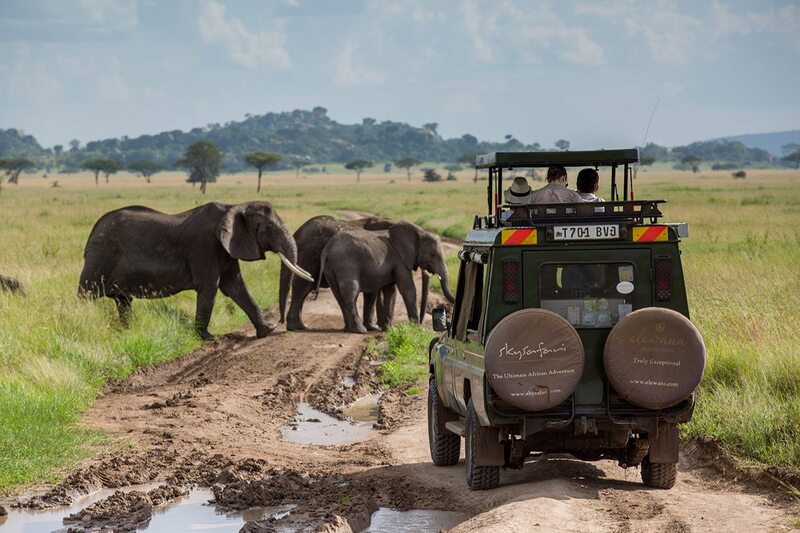 Changes in pace and landscape throughout this itinerary ensure that it offers relaxation and stimulation in equal measure – the perfect safari experience. While Tanzania and Kenya differ in important ways, they enjoy many strong bonds, from their shared Maasai culture to the Great Wildebeest Migration. This 11-night luxury safari encompasses the very best of each country, going back in time to the places where man began, and working towards conserving the future.